Meizu launched their rumored and awaited smartphone series of Meizu 15, 15 Plus, 15 Lite officially in China. All of three devices come with AMOLED panel display. The Meizu 15 and 15 Plus are packed with dual rear camera setup whereas, the Meizu 15 Lite remains with a single camera at the back. The Meizu 15 comes with a 5.46-inch AMOLED display with an 18:9 aspect ratio. The AMOLED panel is provided by Samsung. The device is powered by Qualcomm Snapdragon 660 along with the 4GB RAM variant but the internal storage is available in 64GB and 128GB option. The fingerprint scanner is placed at the bottom of the front. The rear dual camera comes with a 12MP of primary sensor and a 20MP of a secondary sensor for portrait and HDR shots. There is no EIS (Electronic Image Stabilization) or OIS (Optical Image Stabilization). The battery comes with 3,000 mAh capacity with 24W fast charging support. The device has a 3.5mm audio jack and the device also supports all the necessary sensors. It has Bluetooth, Wi-Fi 802.11ac, 4G LTE, GPS, A-GPS etc. as connectivity options. The handset will be available in White, Black, Blue, and Gold color variant. The Meizu 15 Plus device is the topmost handset among these three devices as per configuration. The device comes with a 5.95-inch AMOLED QHD display with an 18:9 aspect ratio. This device doesn’t come with any notch like nowadays and that is a great thing for notch haters. The screen to body ratio is so minimal and the super slim bezels are only 1.75mm thick. The smartphone is powered by Samsung Exynos 8895 Soc along with 6GB of RAM and 64GB/128GB internal storage variant. There is no microSD card expansion available. The Meizu 15 Plus comes with a dual rear 12MP and a 20MP camera sensor. Whereas, the primary 12MP sensor is 1/2.3″ and a 1.55µm pixels with a wide aperture f/1.8 lens and a 4-axis Optical Image Stabilization feature for the shake-free experience. The secondary 20MP rear camera comes with a 2x telephoto lens with lossless zooming quality. Meizu claims that the camera will also feature multi-frame noise reduction and HDR algorithm for better auto HDR and portrait images. The front has a single 20MP of selfie camera. Meizu 15 Plus also comes with a new mEngine, a haptic feedback system which can provide the same feedback like Apple’s Taptic Engine. A faster 0.08sec fingerprint sensor placed on the back side. 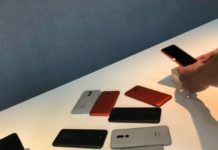 The device also supports face unlock feature designed by Sensetime company. The Meizu 15 Plus the stereo speakers and a 3.5mm audio jack connectivity. The smartphone packed with a non-removable 3,500 mAh battery which supports fast charging facility. The device will be available in Golden, Black, and Grey color variants. The last model and the entry level smartphone Meizu 15 Lite comes with a 5.45-inch LCD display. The device is powered by Qualcomm Snapdragon 626 processor along with a 4GB of RAM and 64GB of internal storage capacity. The Meizu 15 Lite only features a single 12MP rear camera with f/1.9 aperture lens. It supports dual-pixel autofocus with 1.4µm pixels. The front has a single 20MP of selfie camera. It is packed with a 3,000 mAh battery which can be charged at the 18W frequency. All the three variants Meizu 15, 15 Plus, 15 Lite will run on Android Nougat with Flyme v7.0 out of the box pack. The Meizu 15 and 15 Plus will be priced at around CNY 2,500 ($397) and CNY 3,000 ($476) for the base model. The 15 Lite model will cost around CNY 1,700 ($270). 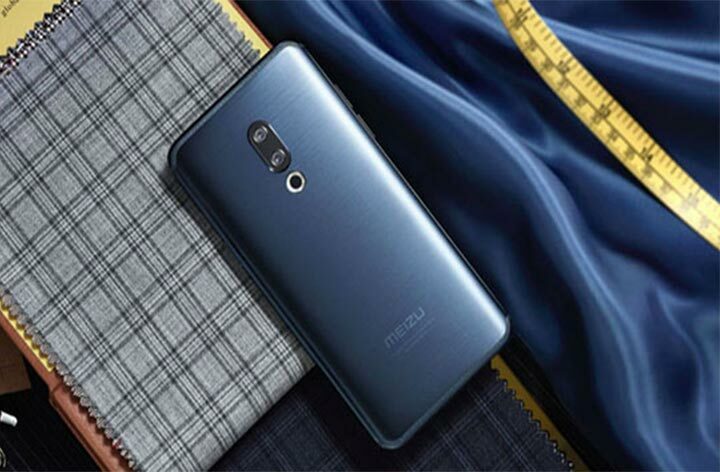 The Meizu 15 Plus Delux edition of 6GB RAM and 128GB storage variant will be priced at around CNY 3,300 ($524).